Amidst the annual year-end reflective news coverage, some might have overlooked a significant global economic development: the formal creation of the world’s third largest marketplace. 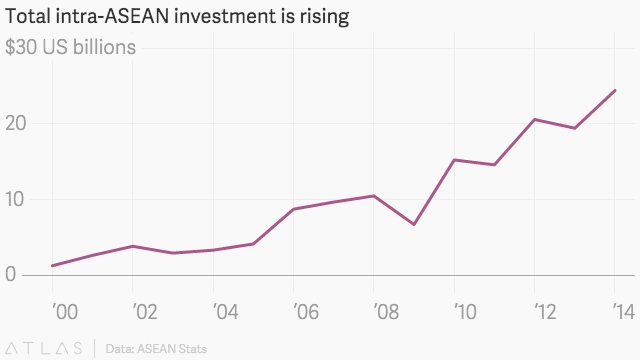 With the minting of the ASEAN Economic Community (AEC) agreement at the end of 2015, Southeast Asia took a big step towards economic unification. The integration agreement not only creates an enormous market, it also creates the world’s third largest workforce—behind only China and India. 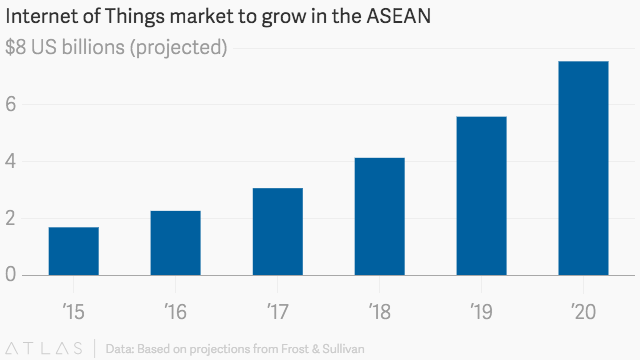 In a global economy that places a premium on high-tech fluency, a generation that was born with Facebook on their smartphones has an advantage, and the Southeast Asian region is one of the world’s youngest. Accenture predicts that by 2020 nearly half of Southeast Asia’s population will be under 30 and more than 55% of its working-age population will be comprised of tech-savvy millennials. As it prepares for the future, ASEAN is committed to establishing a value chain for tomorrow by focusing on two fronts: building up infrastructure for innovation and growing a competitive ASEAN workforce through upskilling. And the region’s workforce is diverse. From manual agriculture and mining workers, to industrialized production and manufacturing professionals, to leading service and knowledge-economy executives, ASEAN talent spans the value chain. That diversity presents an opportunity for firms that base their production within the AEC—an entire supply chain can now be sourced within a single market. Take a hypothetical fitness tracker: designed in Singapore, built in a Thai factory with raw materials sourced from Indonesia, sold to a market of more than 600 million ASEAN residents, all with zero tariffs or trade barriers along the way. As it prepares for the future, ASEAN is committed to establishing a value chain for tomorrow by focusing on two fronts: building up infrastructure for innovation and by growing a competitive ASEAN workforce through upskilling. In order to wrestle more high-value production business away from its competitors, ASEAN is setting its sights on the value chain of tomorrow. Bolstered by state-supported accelerators and innovation hubs, the region’s Internet of Things (IoT) spending is forecasted to grow 35% annually over the next five years, ultimately boosting productivity and profits across industries as diverse as Malaysia’s palm oil plantations, Indonesia’s copper mines, and Singapore’s e-commerce and logistics firms. Singapore’s dedication to innovation now lives in RFID sensors at ports, enhanced connectivity, and intuitive analytics that track, organize, and distribute goods globally. But the country isn’t resting on those achievements, and is committed to being the world’s logistics nerve center as trade and investment shifts from West to East. To that end, Singapore has encouraged the adoption of new information technologies like grid computing and software agents that will help speed up computationally intensive tasks in complex supply chain management. Thanks to its logistics expertise, a heavy concentration of service providers, and continued investment in research and Infocomm Technology (ICT), Singapore has solidified its competitive advantage as a manufacturing hub. ASEAN’s increasing intra-regional trade and unique logistic challenges could also spark the creation of additional forward-looking tech solutions. Currently, SingPost, the leading regional mail and logistics provider, is looking into drones as it partners with Alibaba to bring more advanced warehouse and distribution tech to regions like the Philippines, a chain of thousands of islands where there’s currently no guaranteed easy commercial access. But as supply chain management becomes more personalized, having tech talent will be crucial. The rapid technological progress made across Southeast Asia has left some developing economies behind, and the region’s youthful workforce will need to “rightskill” to be able to offer relevant abilities—like finding digital solutions for the region’s supply chain. Luckily, millennials believe that tech skills are the key to a successful future—a future in which they can do better than their parents—and are looking to mLearning, and flexible education schemes to help develop them. It’s paying off: Their contemporaries in advanced economies are having an increasingly difficult time outperforming their elders, but most 20-somethings in emerging markets have already done so. Their contemporaries in advanced economies are having an increasingly difficult time outperforming their elders, but most 20-somethings in emerging markets have already done so. Education will be key to building a future-ready workforce capable of sustained improvement. Existing intra-regional migration generally takes place on a low-skill, bilateral basis—a reflection of both fragmented English language education and high economic development gaps. To increase training and the caliber of work, the AEC agreement aspires to standardize vocational skill recognition across Southeast Asia, likely boosting wages and workplace safety for tradespeople, and ideally motivating workers to seek education and formal training opportunities in their home countries. But it’s not just the trades that stand to benefit. The AEC grants increased mobility to high skilled professionals in fields such as engineering and medicine. This means nurses who train in the Philippines can seek higher wages in Singapore, a huge incentive to complete higher education across developing ASEAN cities. The single community framework also calls for an increase in intra-ASEAN educational exchanges and internships, which will help develop the next generation of highly educated workers with a more international mindset. China’s sudden slowdown highlights the risk of relying on a single trade partner. And with intra-ASEAN commerce totaling just a quarter of the region’s overall trade, AEC reforms will spotlight low-hanging fruit for the taking. With a focus on building infrastructure for innovation and a motivated, youthful workforce looking to compete, it’s becoming clear that the region’s single market approach is set to reward companies that were on the fence, but ready to hop in. This article was produced on behalf of the Singapore Economic Development Board by the Quartz marketing team and not by the Quartz editorial staff.